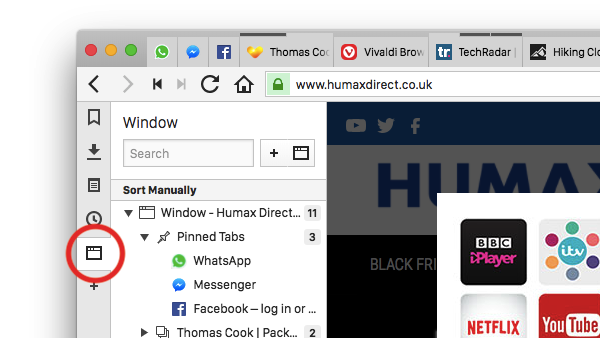 Vivaldi’s Window Panel offers an easy way to manage multiple tabs at once. 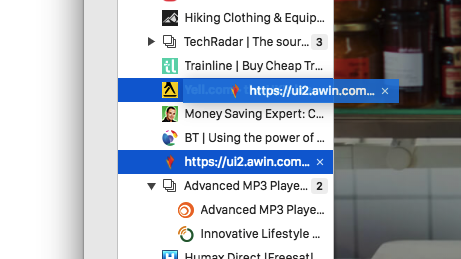 To open the Window Panel, click on the window icon in the Vivaldi Side Panel. Opening to the side of your main browser window, the Window Panel will give you a tree-style view of all the open tabs. You can easily change the order of your tabs using the Window Panel. 1. Click on the tab you’d like to move. 2. Holding the left mouse button, move the tab to a new location. 3. Drop the tab to a new location and release the mouse button. 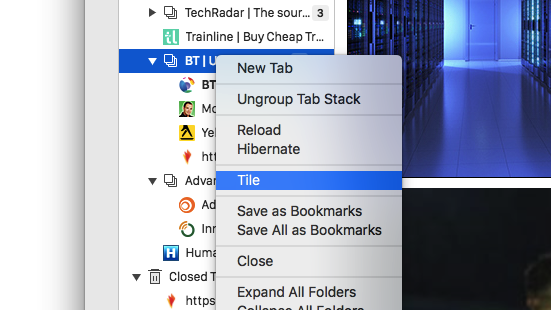 Window Panel lets you easily create Tab Stacks – groups of tabs stacked together to save space and make browsing more convenient. 1. Click on the tab you’d like to add to a group. 2. Holding the left mouse button, move and place the tab on top of another tab. 3. 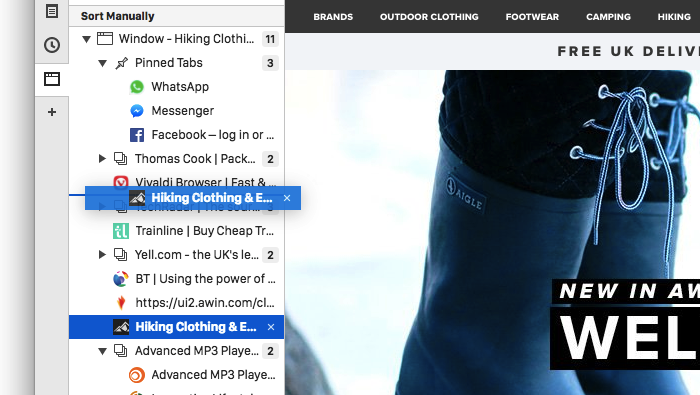 Release the mouse button – you have now created a Tab Stack. You can tile your Tab Stacks to create a side-by-side view in one browser window. 1. Right-click the Tab Stack. 2. Select Tile from the drop-down menu. You can do a lot more with your tabs in the Window Panel. To explore the possibilities, right-click on a tab or a group of tabs and see the list of available actions in the drop-down menu. Tab management has never been easier!